Rabbits nails and teeth never stop growing! A male is known as a BUCK, a female is known as a DOE and a baby is known as a KITTEN. A group is known as a LITTER. There are many different breeds of domestic rabbit, with various sizes, temperaments, and care requirements. As with breeds of dogs, rabbit breeds were selectively bred by humans at different times to achieve certain desired characteristics (including coat colour and texture, size, and body shape). There are over 48 rabbit breeds. Rabbits have been kept as pets in Western nations since the 19th century. 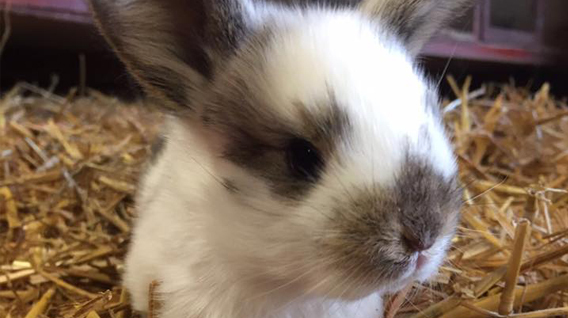 Pet rabbits can be kept outdoors or indoors. Rabbits can be litter trained, which makes it much easier to clean up after them. LONGEVITY: Can live 8 – 12 years. WEIGHT: They weigh around 0.4 – 2 kilos. SIZE: Can grow a length from 20cm to 50cm. DIET: Commercial pellets are available in a variety of formulations, and are typically fed to adult rabbits in limited quantities to prevent obesity. Most pellets are based on alfalfa. Many commercial rabbit raisers also feed grass hay and vegetables. 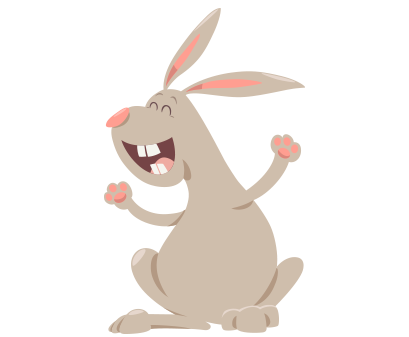 GESTATION: The gestation period for a rabbit is 28 to 30 days. Litters are usually 3 to 7 young.